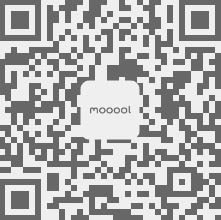 Thanks TERRITOIRES for authorizing the publication of the project on mooool, Text description provided by TERRITOIRES. 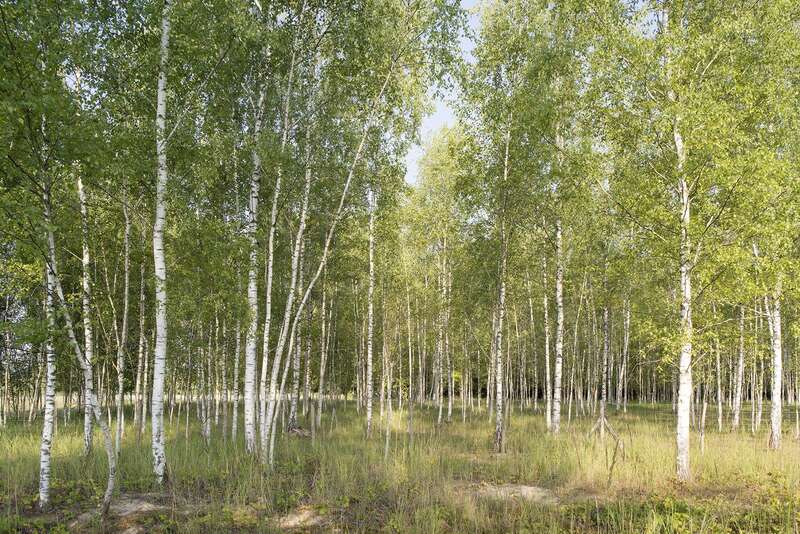 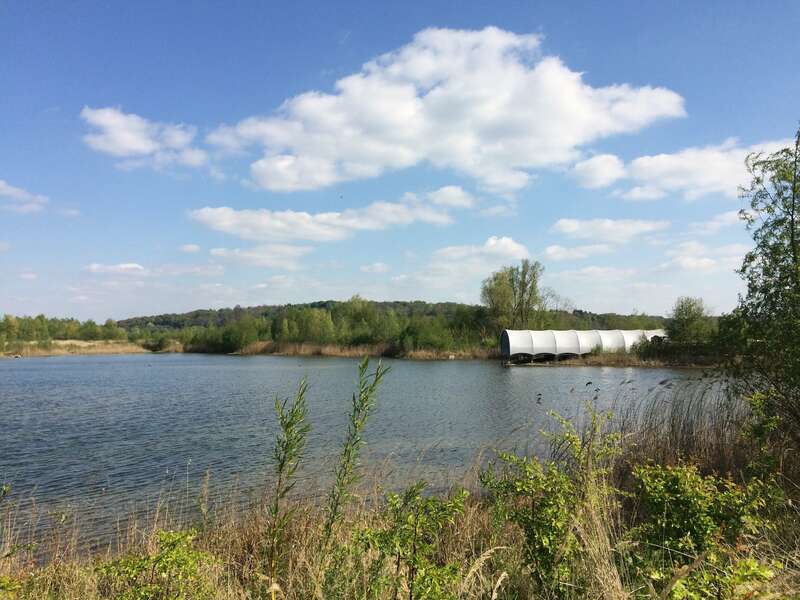 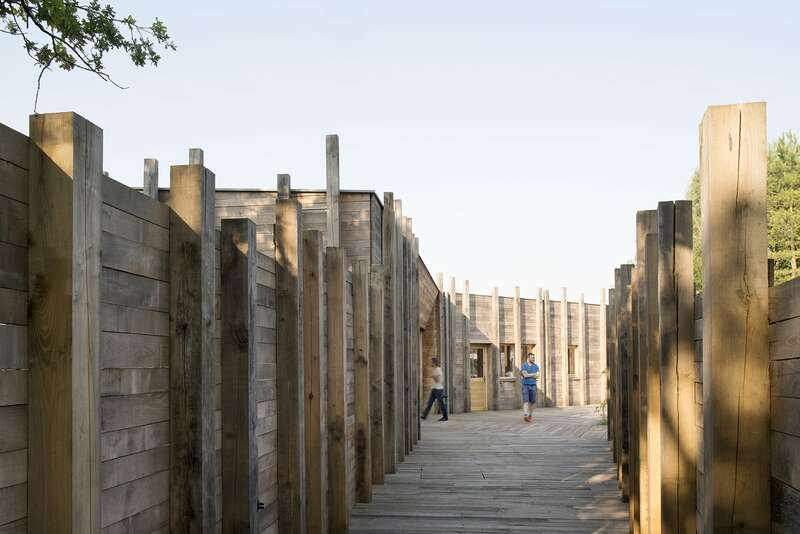 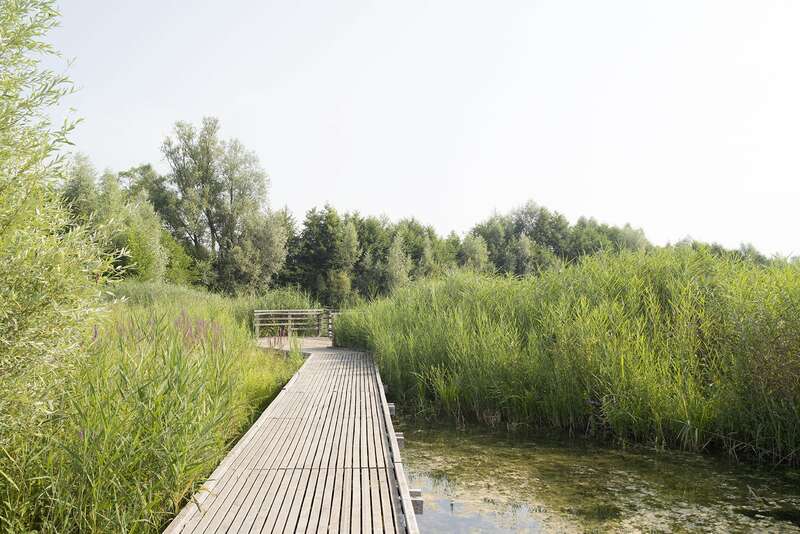 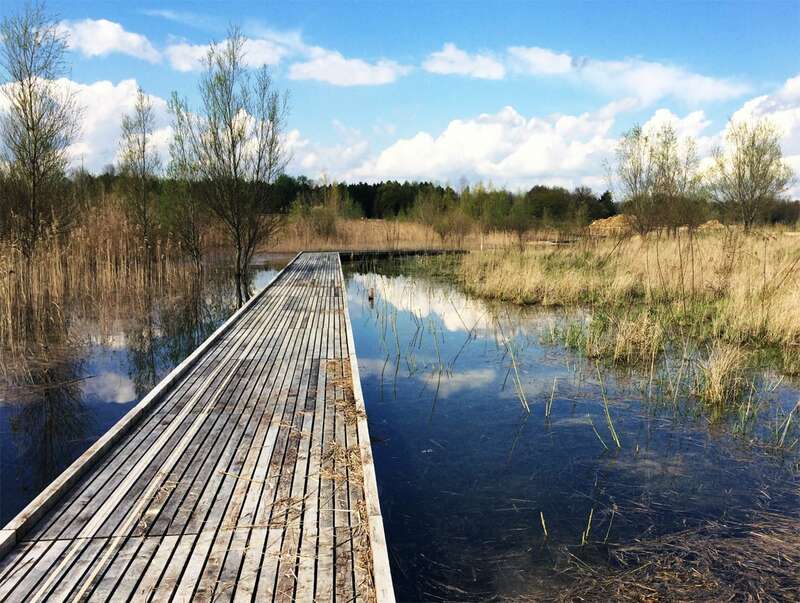 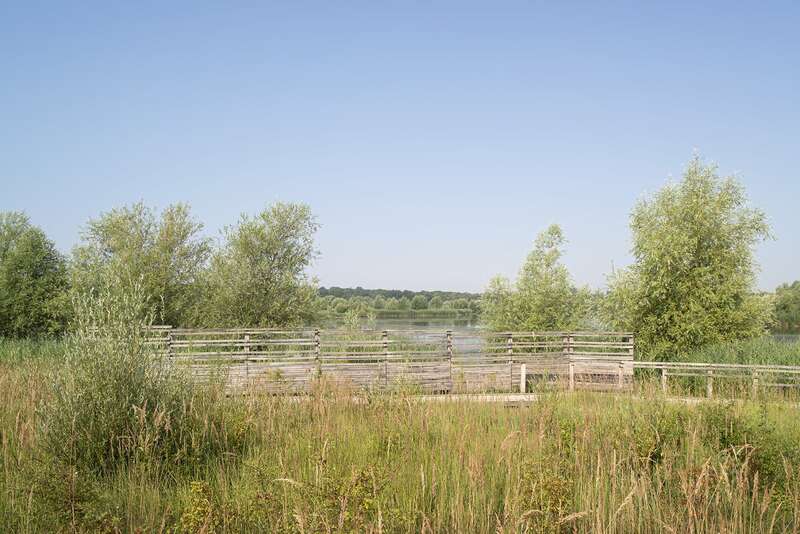 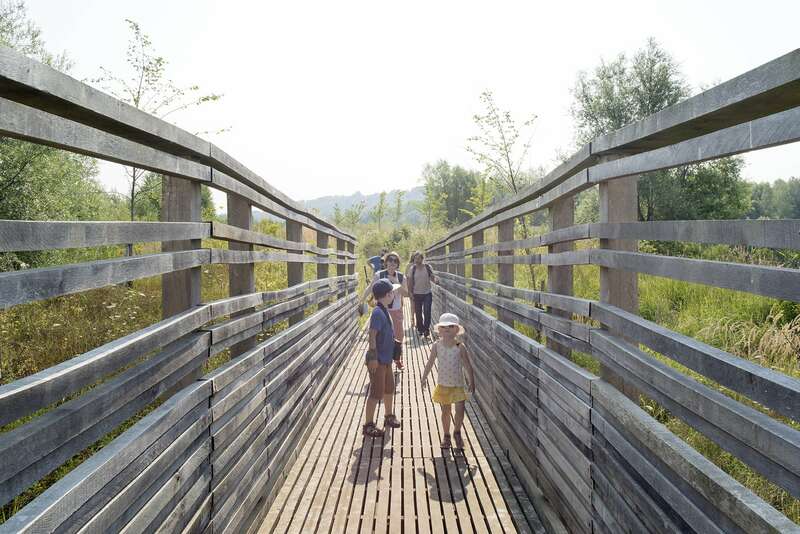 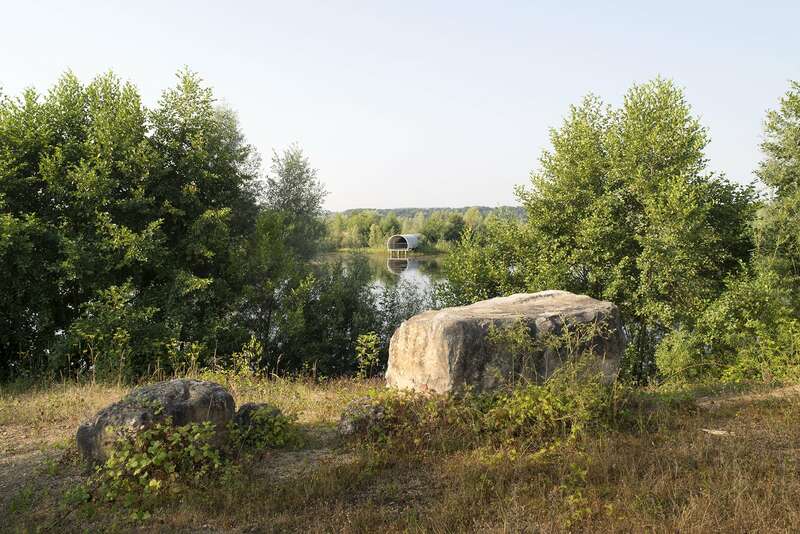 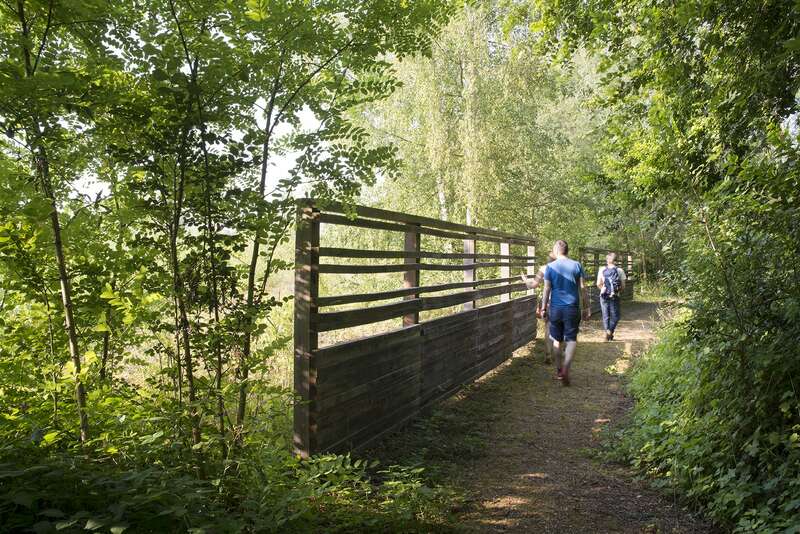 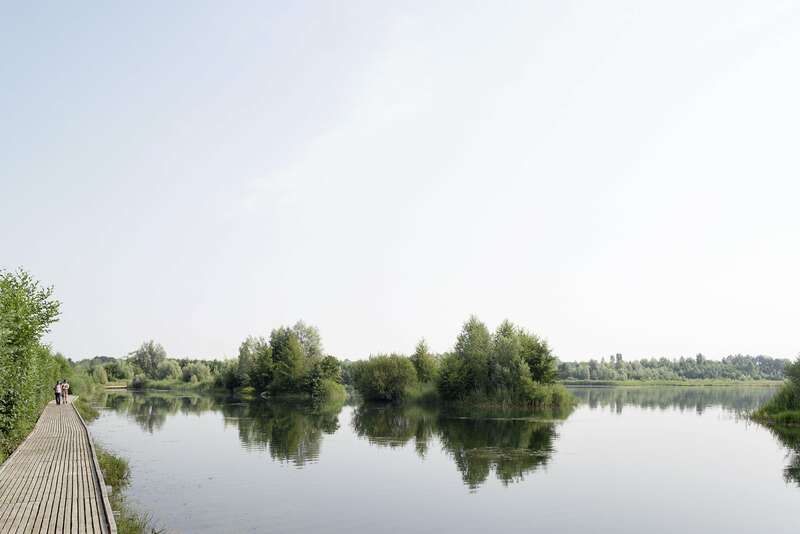 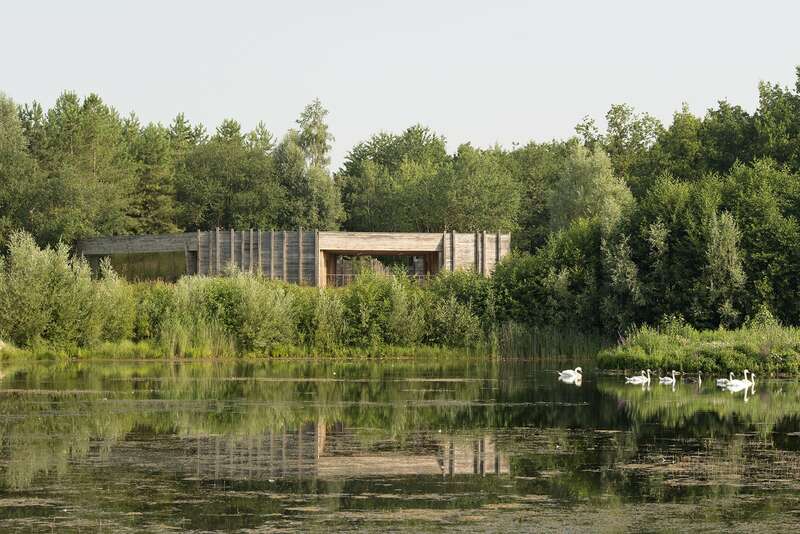 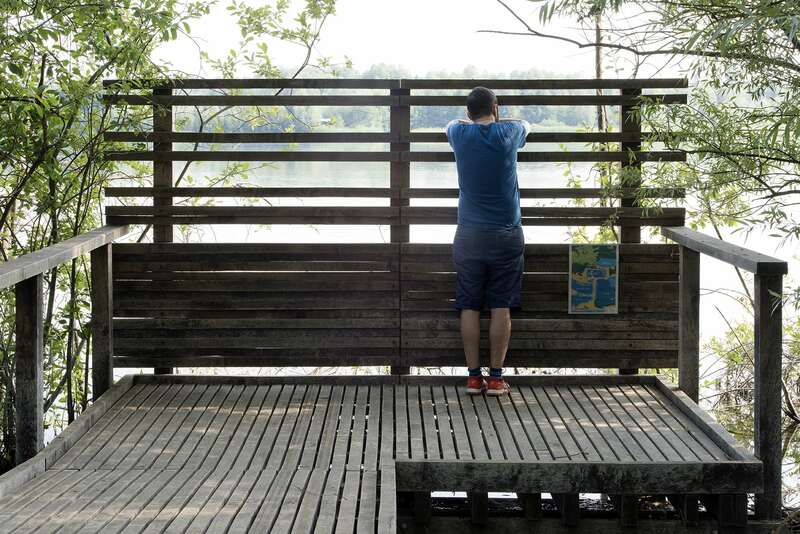 TERRITOIRES：The Grand Voyeux Regional Nature Reserve is a manmade park, 40 km from Paris, which has taken shape over thirty years with the quarrying of gravel pits on the banks of the Marne. 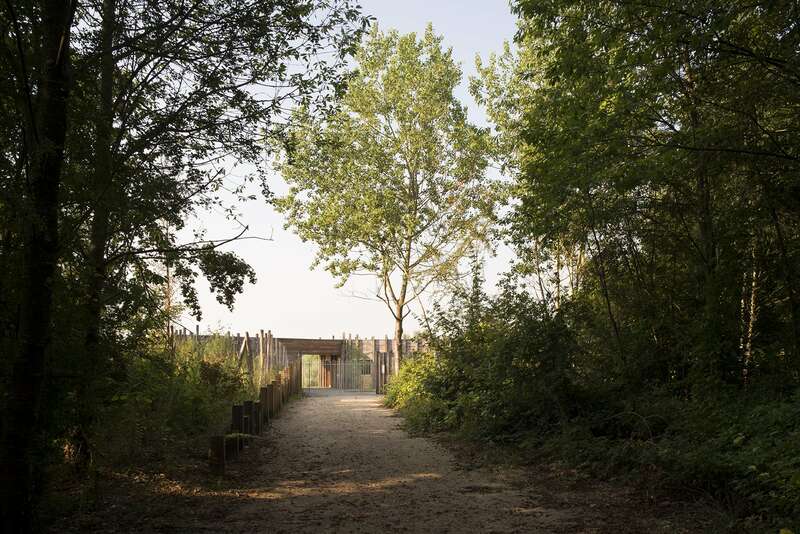 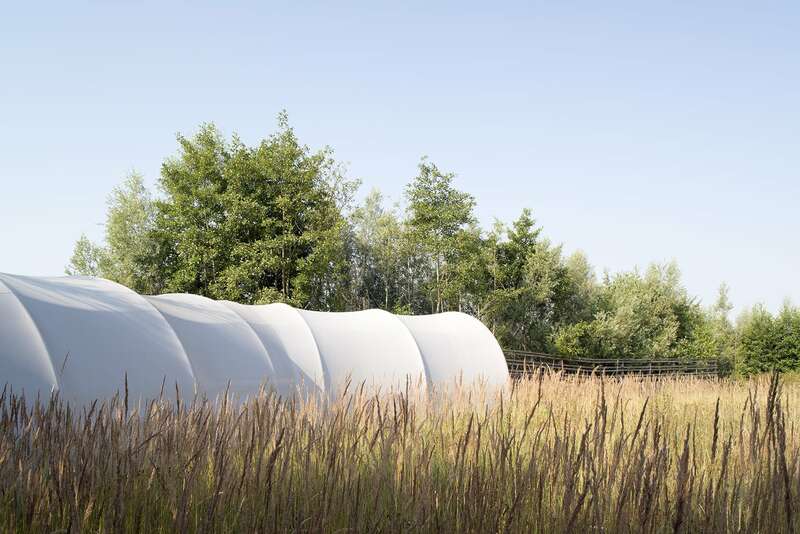 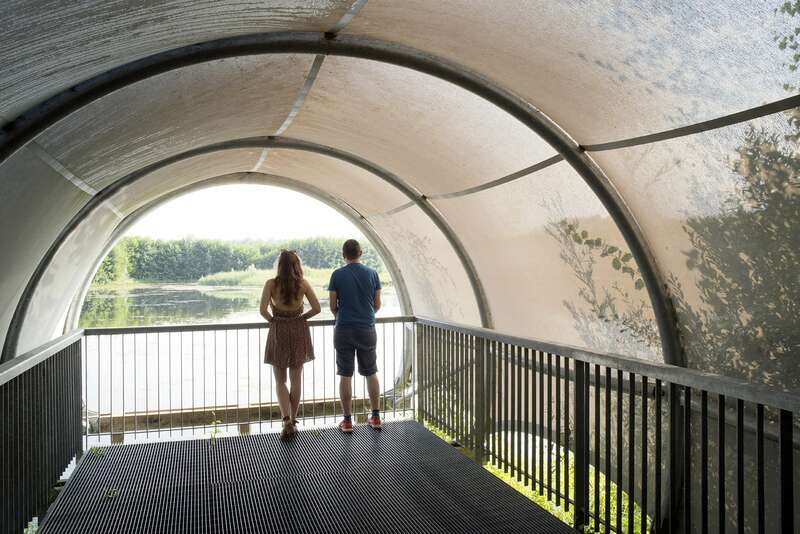 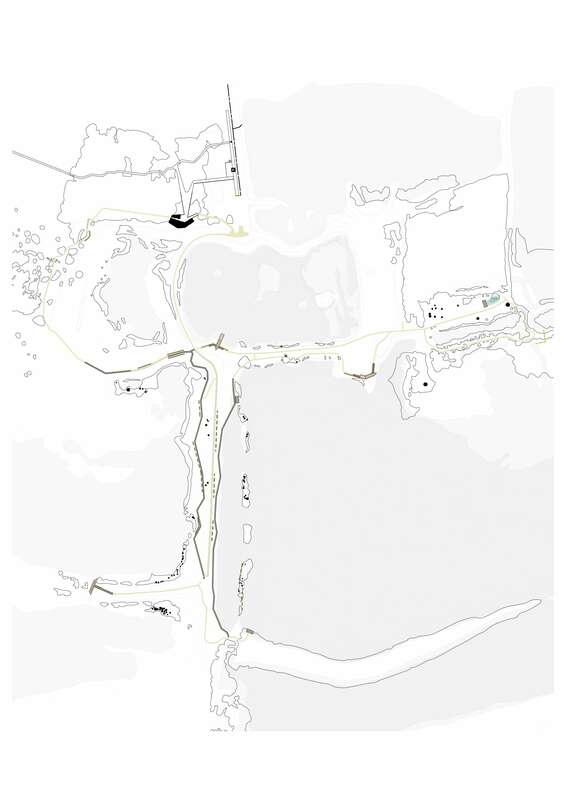 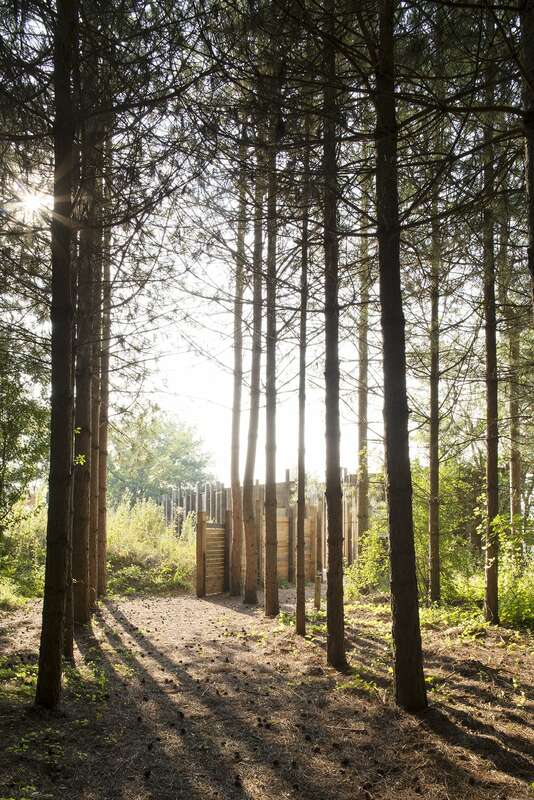 This complex project’s strategy distanced itself from the usual didactic development standards for natural environments, in a bid to recover a barely healed landscape, in order to open it up to a wider public. 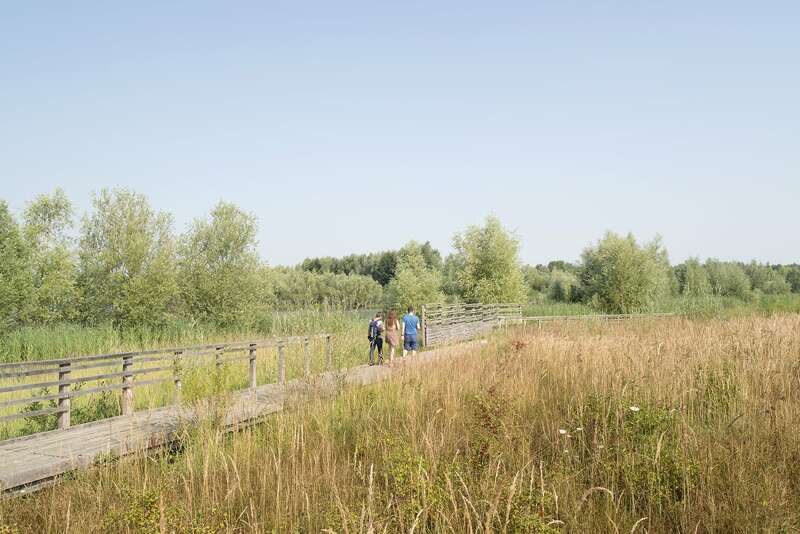 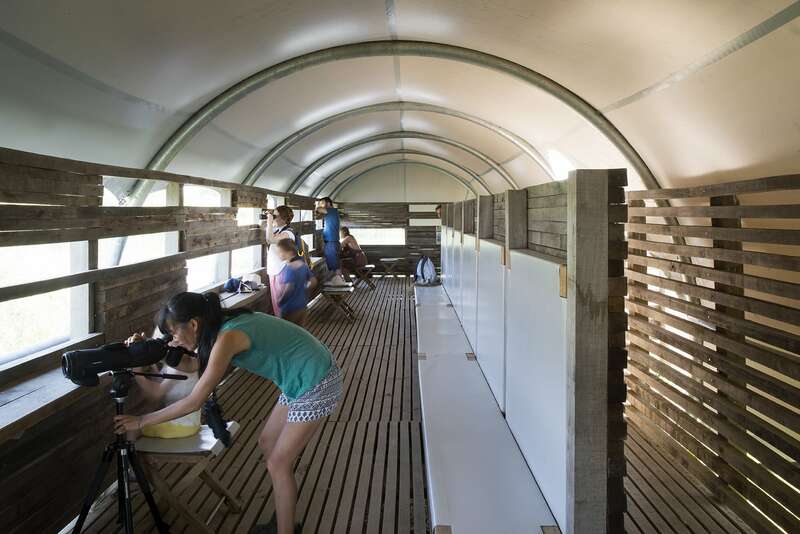 The project, inspired by stilts, enables comfortable mobility through wetlands without marking the ground. 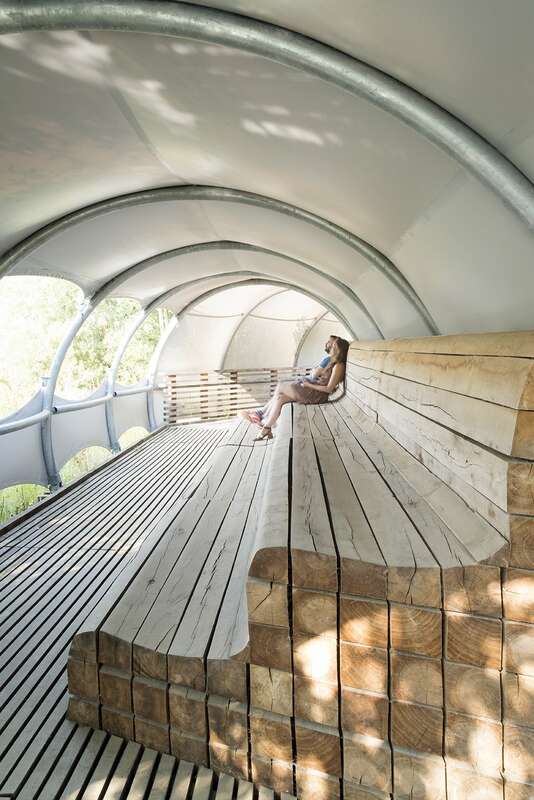 The route is built using two complementary systems: light wood decking and a vegetal tunnel. 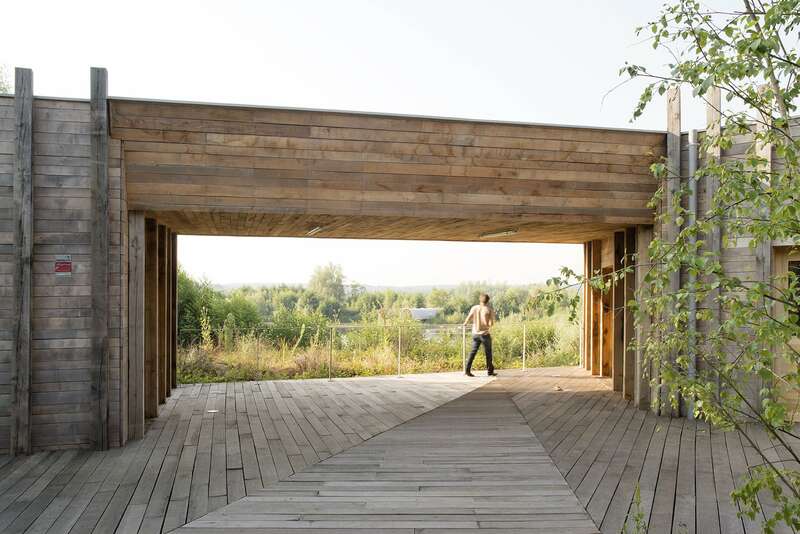 The decking is stretched in its general geometry and reinforced by strategic observatories. 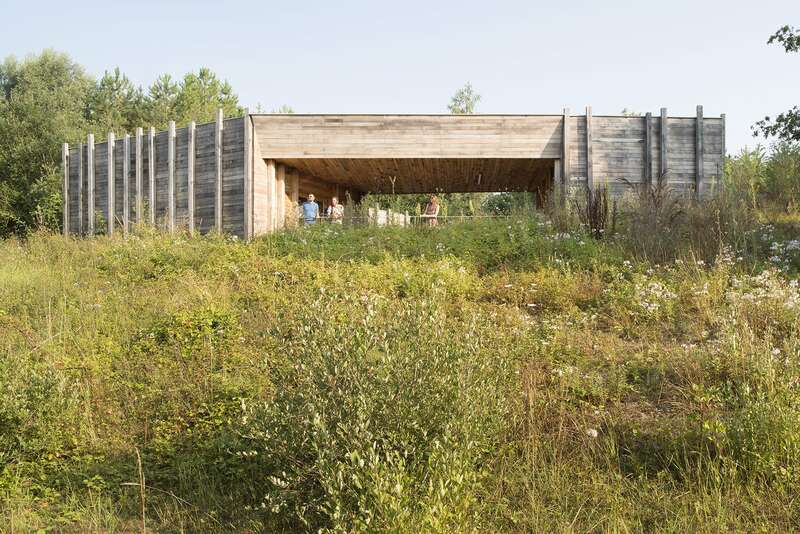 The pipe is supported by native vegetation, concealing hikers. 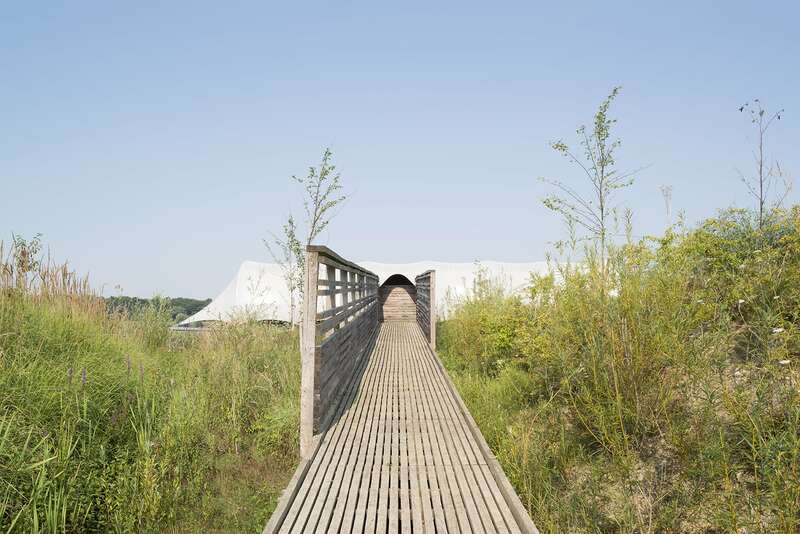 The observatories, chrysalises made of canvas, laid on the rustling phragmites, provide unexpected and captivating refuges for bird watchers. 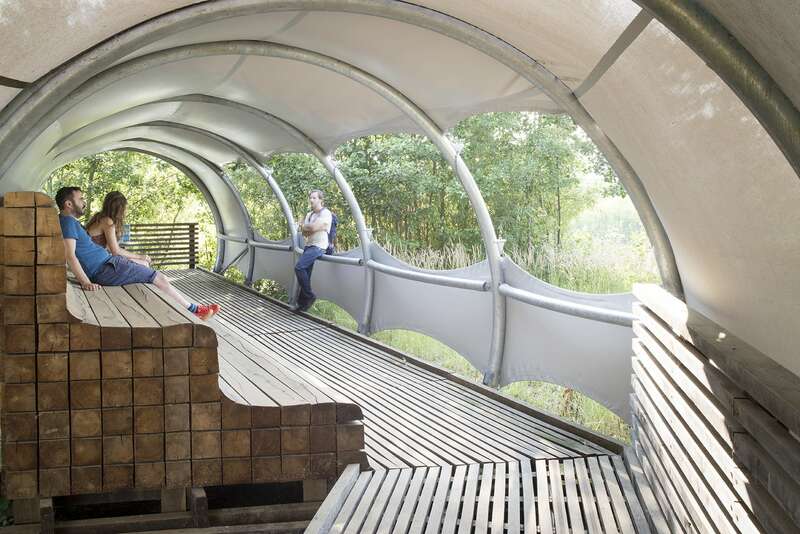 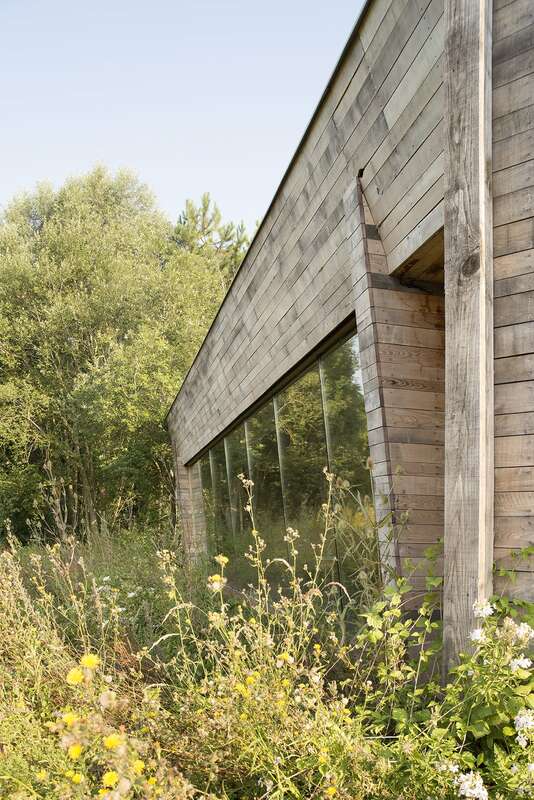 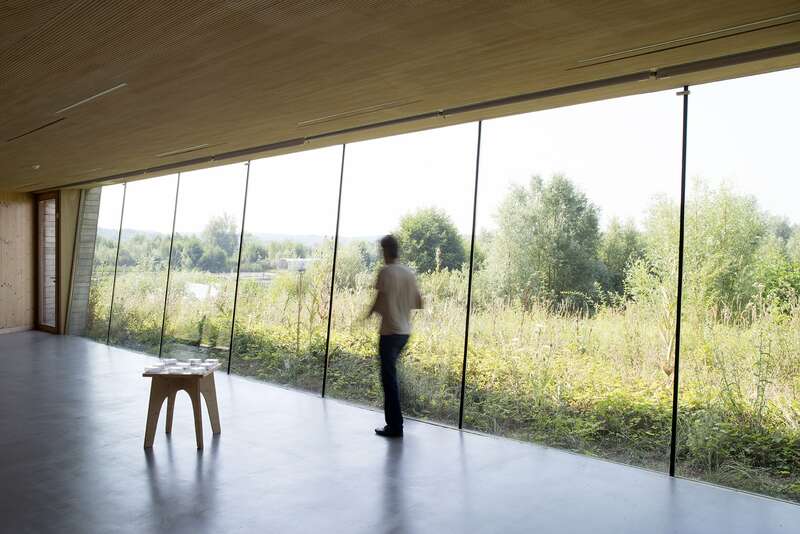 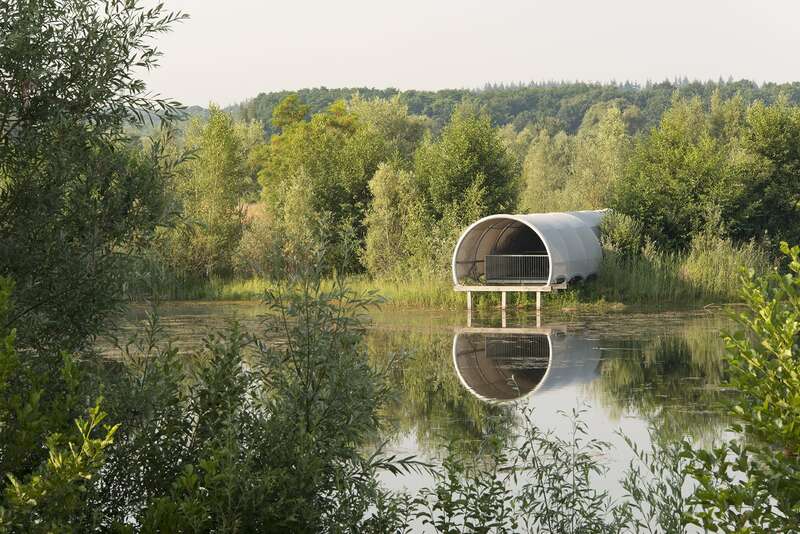 These shapes hide visitors from the birds, allowing animal watching in exceptional comfort.